HDTV Supply's WolfPack 1080p 16x16x2 HDMI Video Matrix Switcher over CAT5 provides the most flexible and cost effective solution in the market to route high definition video sources plus multi-channel (up to 7.1-channel) digital audio from any of the 16-HDMI source devices to the 16x2 = 32 remote displays at the same time. Because it is a matrix switcher, it allows any input to be routed to any output; or the same input to be routed to all outputs, or any combination. Switching can be controlled by an IR Remote Control, Front Panel Buttons, PC software and RS232 and optional WIFI. The WolfPack 16x32 HDMI Video Matrix Switcher over CAT5 provides full HDCP internal management for todays integration in the commercial A/V market ensuring HDCP key authentication and administering the handshake internally. Our WolfPack 16x32 HDMI Video Matrix Switcher over CAT5 comes with a full HDCP internal management system that will eradicate any interception of your data. Switching can be controlled by an IR Remote Control, Front Panel Buttons, PC software and RS232. Most applications of the 16x32 HDMI Video Matrix Switcher over CAT5 are used in bars and server rooms. Why not buy this 16x32 HDMI Video Matrix Switcher over CAT5 today? Support high resolutions up to 4K x 2K@30Hz, 1080P@120Hz and 1080P 3D@60Hz. The 3.5mm connector: (TX and RX) IR Receiver/IR Blaster cannot be used! Q: I see the the optional HDMI extenders come with 2-remote IR cables, will the remote IR work with this 16x32 HDMI Video Matrix Switcher over CAT5? A: They send perfect audio and video but the remote IR doesn't support this device as it only works with with 1-source & 1-TV. See RF remote controls if you want to control all your devices from afar. HDTV Supply includes a 1 Year U.S. Limited Extended Warranty on only this 16x32 HDMI Video Matrix Switcher over CAT5. The optional HDBaseT extenders have a one year warranty. There are two bundled parts to this 1 year warranty. The 1 year warranty is only for the main device you purchased and does not include any product options or additional products you purchased at the same time. FIRST YEAR: The first year is direct with with HDTV Supply at 800-841-9238. The warranty states that the 16x32 HDMI Video Matrix Switcher over CAT5 will perform substantially in accordance with the supplied written materials and Product information located on this Product web site page for a period of 1 year from the date of shipment of the Product and that the Product will be free from defects in materials & workmanship under normal use & service for a period of 1 year from date of shipment. 2ND THROUGH 3RD YEAR: The 2nd through 3rd year are direct with Consumer Priority Extended Warranty Service (CPS) as they are HDTV Supplys extended warranty provider. They are a large 3rd party repair company with facilities throughout the U.S. and offer our U.S. customers unparalleled product coverage and repairs. If after calling HDTV Supply, at 800-841-9238, we find we can't fix the issue over the phone, and you need a repair, you will henceforth deal directly with CPS for the repairs via their toll free phone number (800) 905-0443 Option 3 during the 2nd through 3rd year. You can also email CPS and email HDTV Supply as well as call us a 800-841-9238 if you have any questions with this 3 year bundled warranty. The Wolfpack family can roam long distances even some up to 300 feet over HDBaseT trails and howl 1080p whereas those who try to trap the WolfPack fails & runs away to the older devices. You can only get this one-of-a-kind WolfPack 16x32 HDMI Video Matrix Switcher over CAT5 from HDTV Supply. 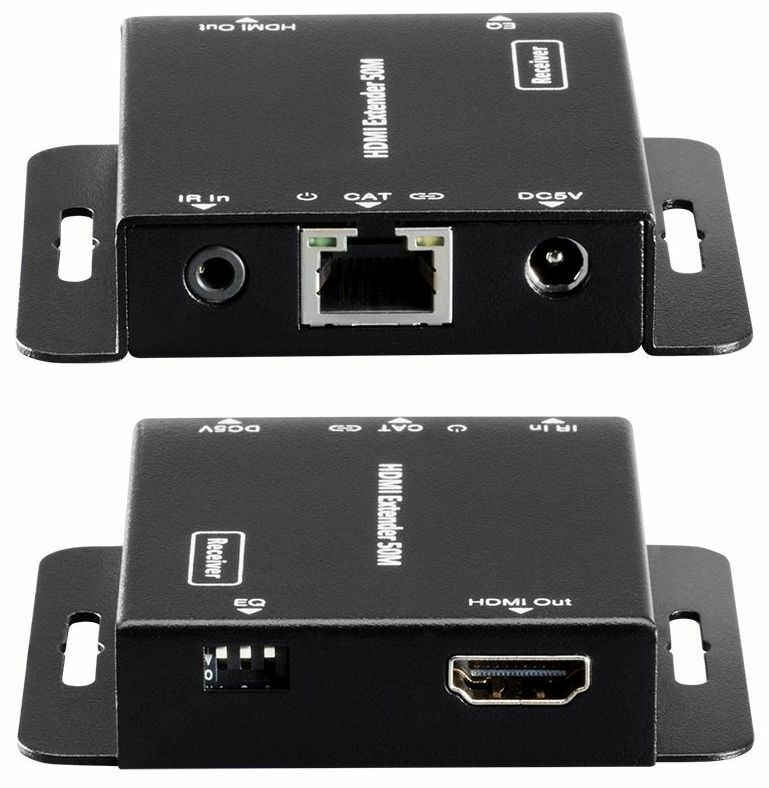 This WolfPack 1080p 16x32 HDMI Video Matrix Switcher over CAT5 is part of HDTV Supplys WolfPack International OEM (Original Equipment Manufacturer) program that allows buyers who buy 5 or more matrices at once to get a discount larger then we already give.